In the 2014/15 season, the Bundesliga achieved the second highest spectator average in its 52-year history, accompanied by further growth in its TV partners’ share of the market. At 42,685, the official evaluation by DFL Deutsche Fußball Liga indicates a slight increase in spectators per match over the previous season (2013/14: 42,609). This shows that Bundesliga continues to attract more spectators than any other football league in the world. Only once had a higher figure been recorded since the inception of the Bundesliga in 1963, with a figure of 44,293 being recorded in 2011/12. 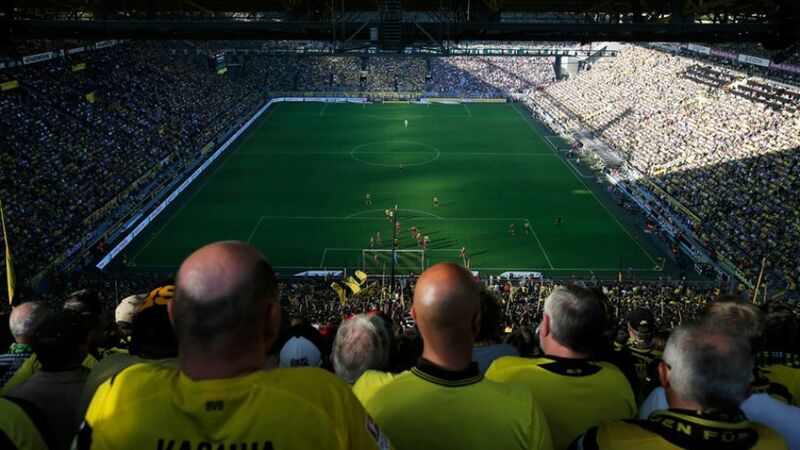 A total of 13,061,532 spectators attended the 306 Bundesliga matches (2013/14: 13,038,305). 5,389,457 spectators followed the 306 Bundesliga 2 encounters in 2014/15 (2013/14: 5,462,972). At 17,613, the spectator average was virtually unchanged over 2013/14 (17,853). This applies equally to the total combined number of 18,450,989 spectators for all 612 matches by licensed clubs (Bundesliga and Bundesliga 2) in the 2014/15 season (2013/14: 18,501,277).